When we look back at our lives we recall those one or two times we were deceived. We’ve all been deceived at one point or another. When we realize it, usually too late, it hits us over the head like a hammer. We ask, how could I let this happen? Why didn’t I see this sooner? Why didn’t I stop it? Well, before you bang your head against the wall too many times, it appears humans are just really bad at identifying when someone is being deceitful. If you are an HR pro responsible for interviewing candidates or leading employee relations efforts this notion is troubling. I attended the SHRM National conference this year. In the midst of all the hoopla that is the conference, one session titled Detecting Lies and Deception: Practical Skills for HR Professionals resonated with me a great deal. This session, led by attorney Michael A Johnson, CEO of the Clear Law Institute, addressed how well HR pros (or any other professional charged with interviewing others) are at discerning lie from truth. Now as one who isn’t jazzed by legal updates, I usually bypass the typical (boring) lawyer-presenter. However, this session intrigued me enough to make the long haul from one end of the conference center, past the Starbucks, and down 2 flights of stairs to attend. I wasn’t disappointed. 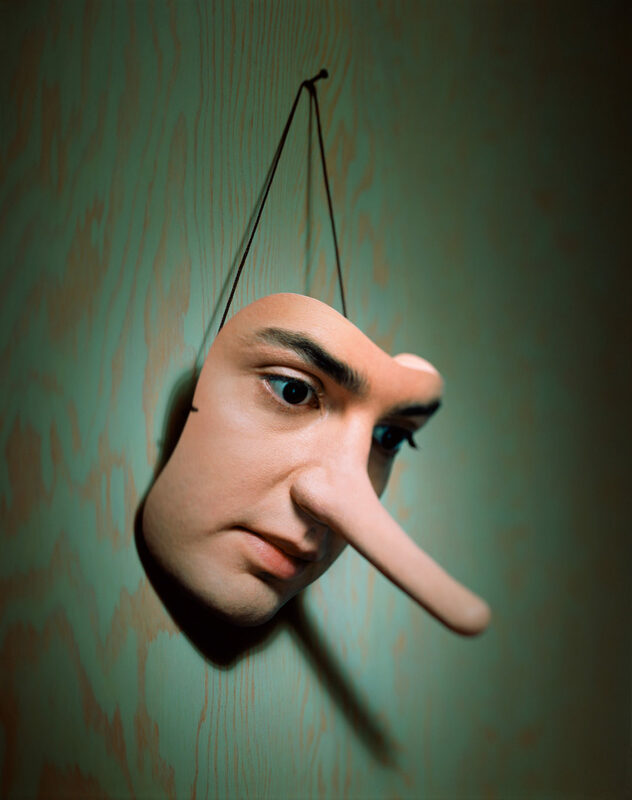 HR pros think they can correctly ID deceitful behavior as much as 75% of the time. In actuality, we, along with the average human, can only ID it correctly 55% of the time. Law enforcement officers only correctly ID deceitful behavior 46% of the time!!! For context, flipping a coin will correctly ID deceitful behavior 50% of the time. Soak that in. What makes this troubling? Many HR pros believe as soon as they get the “HR title” they are somehow better at determining deceptive behaviors better than most. Certainly better than any others in our organizations. Well, that simply isn’t true. For instance: HR Pro, ask yourself, have you ever once taken a class on interrogations? Were there tracks in college you took on proper, ethical, and effective interrogation/investigation techniques? The answer is likely no. Or, if you did take a class was it led by law a enforcement professional who is worse at it than you? Let’s say you interview someone in an employee relations investigation and they become fidgety. Very fidgety. That’s the classic sign of a liar, correct?! Wrong. Actually liars are less fidgety and control their body movements well. Let’s say you are interviewing someone and they keep advertising their eyes from you. Weirdly enough, when they answer you they look up and to the right! Classic liar “tell”, right? Wrong. Liars are much better at looking you square in the eye and calmly telling you their story. How about when someone answers your questions they begin to tell lots of details, raise their voice and at times seem a bit out of control. Guess what–this person is likely telling the truth. Deceptive people keep details short and sweet. The solve is deceptively simple. You have a better chance uncovering deception by closing your eyes and simply listening to what people say. That bears repeating. Just listen. Follow up by asking more questions, close your eyes and listen some more. Repeat. Repeat. Repeat. So, next time you are in a situation where you have to make some type of “employee judgement call,” you may want to rethink the way you interpret clues, tells, and answers. And for the love of God, I think it’s time we all assess how experienced we are in any of these techniques before we claim to be “the” corporate expert.